Check out Today's Daily Deal! 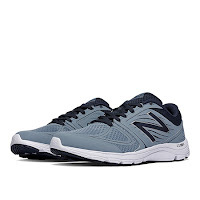 Save 43% on the Men's Running 575 Now Only $36.99 + $1 Shipping (discount applies automatically at checkout) at JoesNewBalanceOutlet.com! The 575 is highly durable and designed for the moderate paced fitness walker; features an ABZORB heel for added comfort.